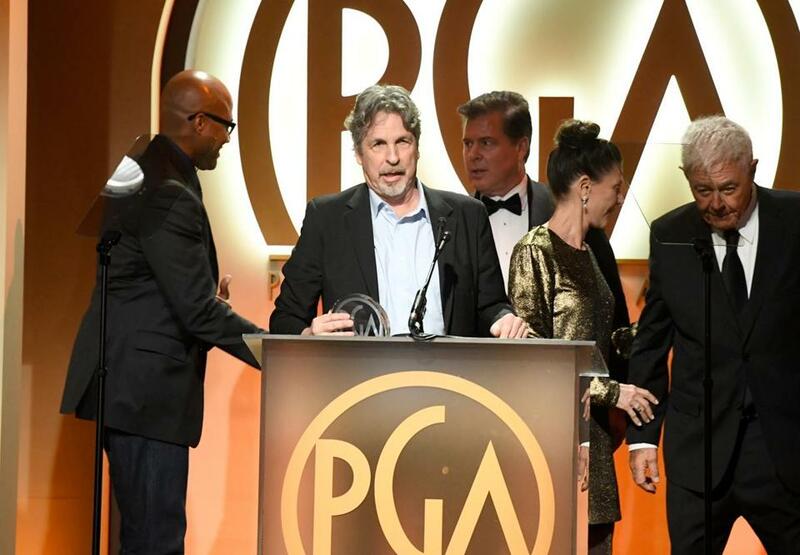 “Green Book” producer Peter Farrelly (second from left) accepted the award Saturday at the Producers Guild Awards event. “Green Book” chronicles a road trip that, while fraught and contentious, ultimately pays dividends for those involved. The film’s award-season run has been just as bumpy and rewarding. “It’s my first time at the PGA Awards, and the first time I ever heard of the PGA Awards,” Farrelly joked during his acceptance speech. After taking the Golden Globe for best comedy or musical earlier this month, “Green Book” now has two significant honors to its name. Still, the 1962-set film about the budding friendship between virtuoso black pianist Don Shirley (Mahershala Ali) and his white driver, Tony Vallelonga (Viggo Mortensen), has faced more controversies than any other major awards contender this season. Let’s take a deep breath before running through them all. First, Shirley’s family members disputed the facts of the film and said they were not consulted about it, which prompted Ali to reach out with an apology. Meanwhile, Mortensen had to issue a statement apologizing for using the “N-word” at a post-film Q&A. Still, the film’s award-season trajectory suggests it has weathered these controversies unscathed. The older, more traditional industry voters whom “Green Book” counts as its core audience are also the least likely to be affected by or even cognizant of the film’s PR snafus. The academy has taken great pains in recent years to diversify its membership, but in a year when many filmmakers of color told acclaimed stories like “Black Panther,” “If Beale Street Could Talk,” “BlacKkKlansman” and “Crazy Rich Asians,” it may still be “Green Book” — a racial-issues movie written and directed by white men — that proves to be the ultimate winner. With the Oscars next month, we’ll soon see if the rich get richer.